BARKSDALE AIR FORCE BASE, La. 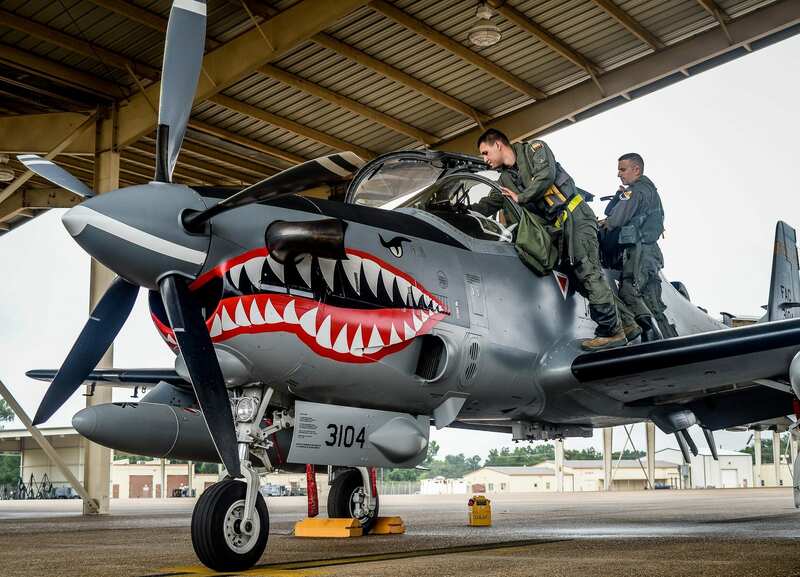 — Forty-five Colombian Airmen and four Colombian Air Force A-29B Super Tucanos are operating from Barksdale Air Force Base, La., as part of Exercise Green Flag East Aug. 15-29. The Colombian contingent arrived Aug. 13 and immediately started engaging with their U.S. Air Force counterparts in order to prepare for the two-week exercise. Green Flag East is one of Air Combat Command’s premier close-air-support exercises, which rehearses close-air-support tactics, while enhancing interoperability with Air Force and Army forces. In addition to the mission aspect, multi-national engagements such as this Green Flag East allow Airmen of these partner nations to build upon a years-long relationship. Two weeks before Green Flag East kicked off, a Colombian general served as the Combined Forces Air Component Commander for U.S. Southern Command’s PANAMAX, which is a command-and-control exercise focusing on a nearly 20-nation coalition. This Green Flag East iteration is another example of the special relationship between the two countries. “On behalf of my Air Force team here, and the Colombian Air Force commander, we appreciate being able to participate in this special exercise,” the general added. In addition to the Colombian aircraft, U.S. Air Force A-10s from Moody Air Force Base, Ga.; F-16s from the Texas Air National Guard; KC-135s from McConnell AFB, Kans. ; E-3s from Tinker AFB, Okla.; and E-8s from Robins AFB, Ga.; are participating in the exercise.